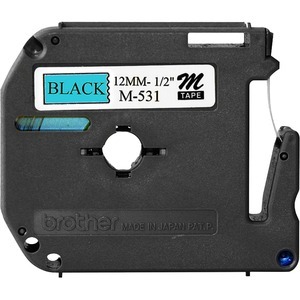 Nonlaminated, M Series tape is designed for indoor and light use. Adhesive-backed labels should be used with the Brother PT-100, PT-110, PT-65, PT-65SB, PT-65SCCP, PT-65SL, PT-65VP, PT-70, PT-70BBVP, PT-70BM, PT-70BMH, PT-70HK, PT-70HOL, PT-70HOT, PT-70SP, PT-70SR, PT-80, PT-80SCCP, PT-85 and PT-90 to create labels for home, home office, school or hobby applications. Tape cartridge yields 26.2'. 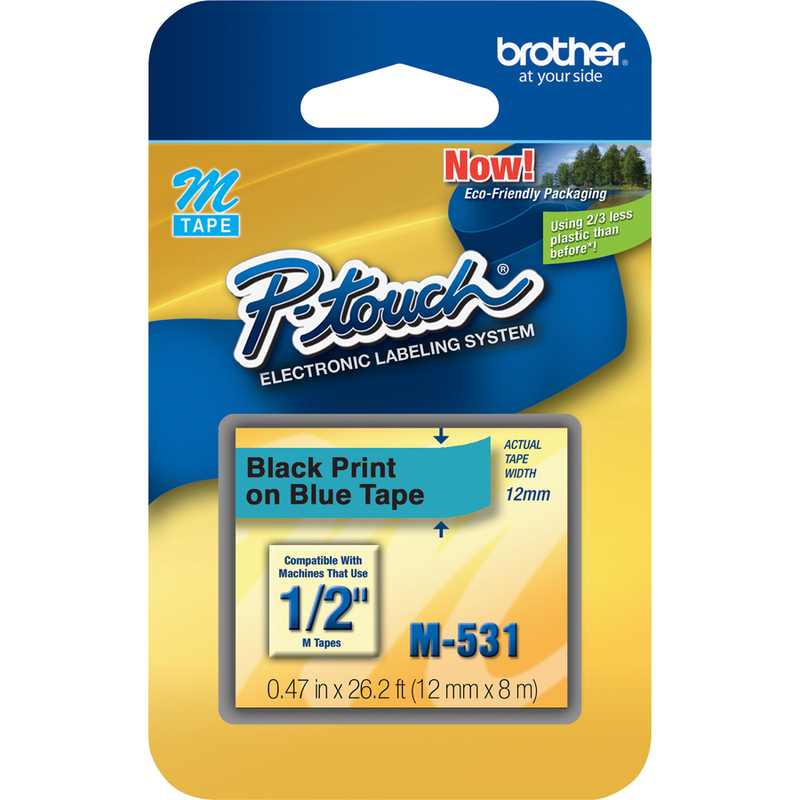 Create labels for home, home office, school or hobby applications using this 1/2"" Black on Blue tape. It is designed for use with Brother P-Touch machines including PT-100, PT-110, PT-45M, PT-55BM, PT-55S, PT-65, PT-65SB, PT-65SCCP, PT-65SL, PT-65VP, PT-70, PT-70BBVP, PT-70BM, PT-70BMH, PT-70HK, PT-70HOL, PT-70HOT, PT-70SP, PT-70SR, PT-80, PT-80SCCP, PT-85, PT-90 and PT-M95. Nonlaminated tape is perfect for indoor and light use. It yields 26.2'.